Our Terracare team is proud to announce that we were awarded seven 2018 Awards of Excellence by the National Association of Landscape Professionals (NALP). 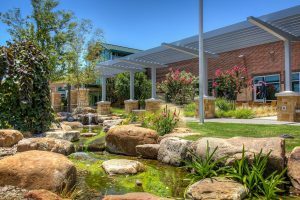 This achievement recognizes the Terracare team for outstanding landscape maintenance and installation services honoring the following properties: 17Seventeen McKinney Construction Project, Centennial Center Park, Grapevine Public Safety Building, One Legacy West, The REC of Grapevine, The Source, and Wind Crest Retirement Community. We have built a strong partnership with our clients and are thrilled to share this award with each one of them. Our teams work diligently each day to bring out the best in every property. 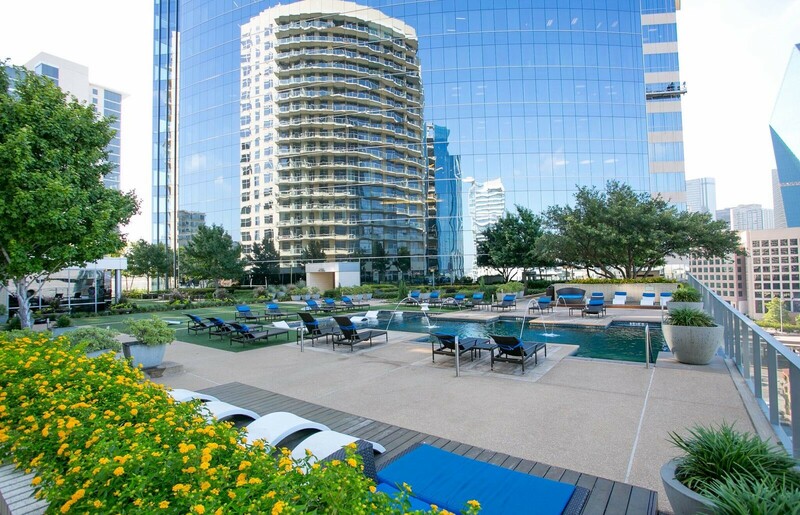 Located in the heart of Uptown Dallas, this property features 19 stories of office space. It is also connected to a luxury apartment building by a one-acre amenity deck on the seventh floor. Terracare restored this amenity deck to reflect the rest of the upscale property. Many challenges arose during the completion of this project including sinking soil conditions and scheduling. Our crews met these issues with intuitive and cost effective solutions. We provided the client an atmosphere that was aesthetically pleasing and enjoyable for both the employees and the residents. 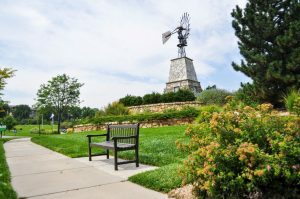 Serving as a focal point for the city of Centennial’s nearly 110,000 residents, this iconic park allows people of all ages to relax and gather to build a sense of community. 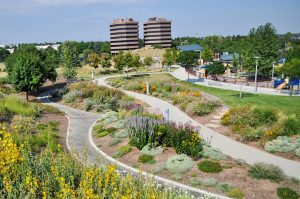 Along with an awarding winning playground, the park also contains an amphitheater with large turf seating, a coffee shelter, a large picnic shelter and plaza, a native butte, walking gardens, and a creek that flows along the west side of the park. By keeping the park’s landscape in pristine condition, the city’s’ residents have the opportunity to grow in community while taking in the beautiful scenery that the park offers. 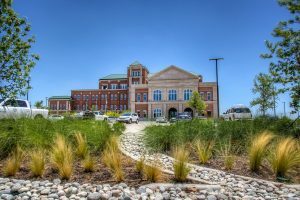 This project is located on 104,000 square feet and includes both the police and fire department, the city jail, police dispatch, information technology services, the municipal court and two indoor kennels for the city’s K9 units. Given a shortened deadline due to a highly anticipated grand opening, our amazing team was able to meet this challenge. We created a property that reflects the pride and importance of the organizations that call the Public Safety Building home. One Legacy West is a 14-story, five star office tower located in the booming Legacy West area of Plano, Texas. 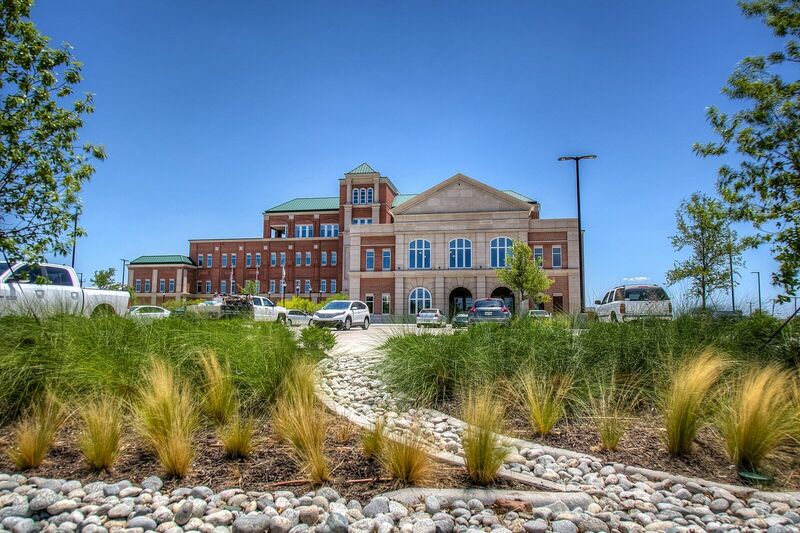 Terracare was able to match the landscape of this property with the building’s breathtaking interior. To achieve this, we provided the client with ongoing maintenance of the project as well as enhancements throughout the property. Our incredible team has been overcoming the intense Texas heat and water restrictions to allow greenery to flourish. Water conservation has been crucial to this property and will continue to be a priority. The REC of Grapevine is the crown jewel of Grapevine Parks and Recreation. 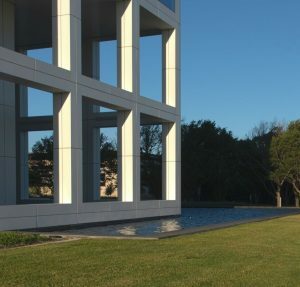 It is located on 108,000 square feet. This includes 7,000 square feet of fitness rooms, a state-of-the-art senior center, an indoor pool, multipurpose rooms and game rooms. By resolving the poor soil conditions and installing a drip irrigation system we were able to provide the residents of Grapevine a facility where they can enjoy a healthier lifestyle and also enjoy the community. The Source is a bustling artisan food market in Denver’s River North Arts District. When the client decided to renovate their parking lot, they realized it was also the perfect time to update their landscape. 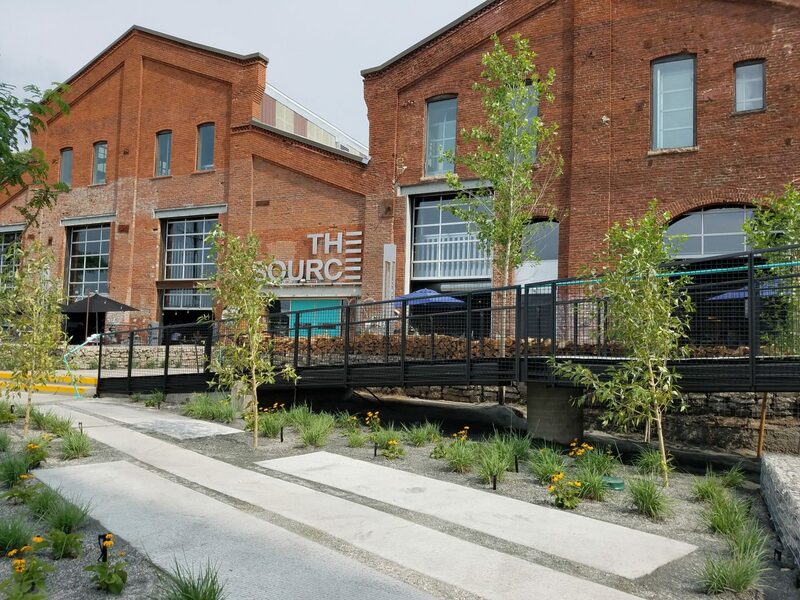 The Source is located in an old iron works building. When it came time to complete the new landscape the client wanted an atmosphere with a more organic feel. Furthermore, the client desired a beautiful landscape that their guests could admire as they make their way to the entrance. To accomplish this, our crews started work at three in the morning every day to avoid the Denver traffic. In addition to that they had to use innovative techniques to address issues. These issues included lack of curb, runoff issues and a limited tree install space. 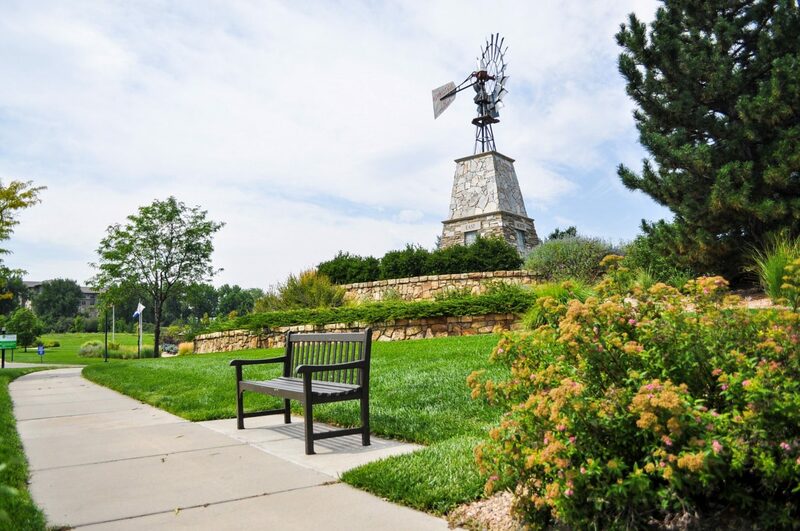 Wind Crest Retirement Community encompasses over 84 acres and allows for an upscale living center for those ages 62 and older. The client’s primary objective for this property is to provide a safe environment for all of the individuals who visit and live there. Moreover, the client requests a well-maintained and beautiful landscape for the residents to enjoy. Our landscape gives the current residents with spectacular surroundings and encourages future residents to join the community. Being able to use the landscape as a selling point to potential residents is very important to the client.